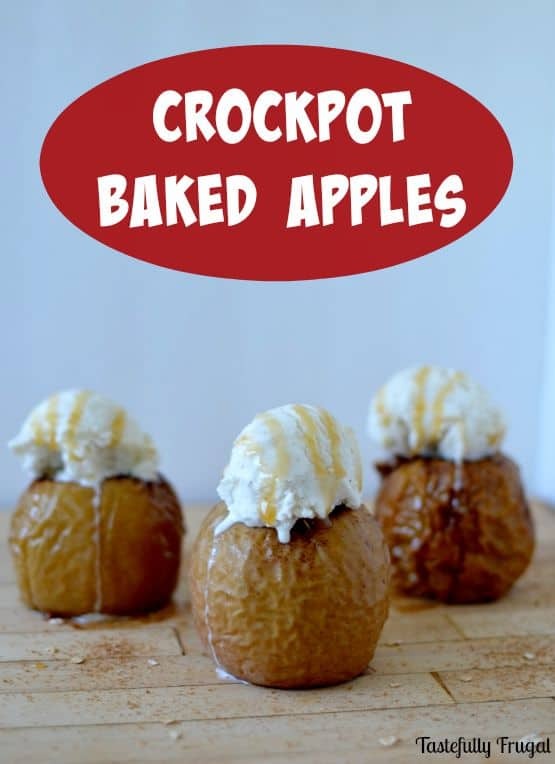 Crockpot Baked Apples are an easy four ingredient fall treat. Can you believe tomorrow is the first day of fall?! It sure doesn’t seem like it here with temperatures close to 90 every day this week. 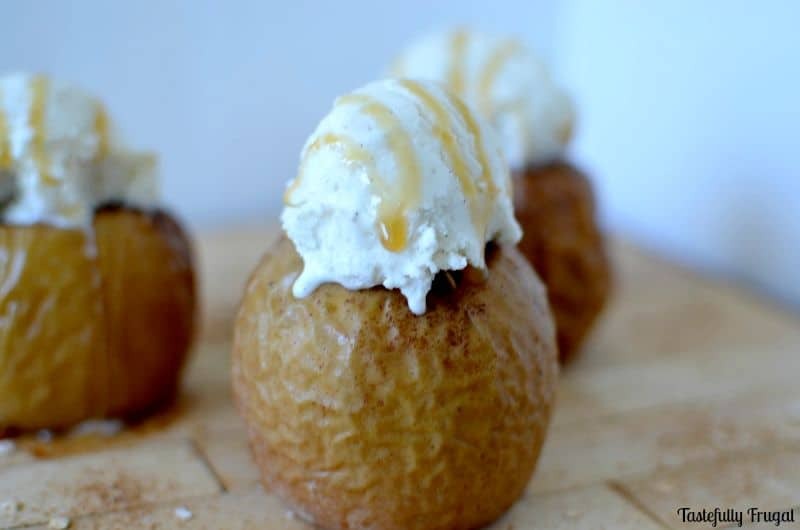 But last week it was rainy and dreary so I definitely took advantage of that and made a few of our cold weather favorites as well as a few new recipes, including these baked apples. These also tied in perfectly with our Letter A tot school week. 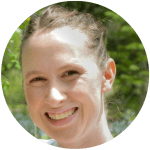 You may remember from last week I shared Turkey Pudding Cups for our letter T week and what food comes to mind when you hear the letter A more than apples?! 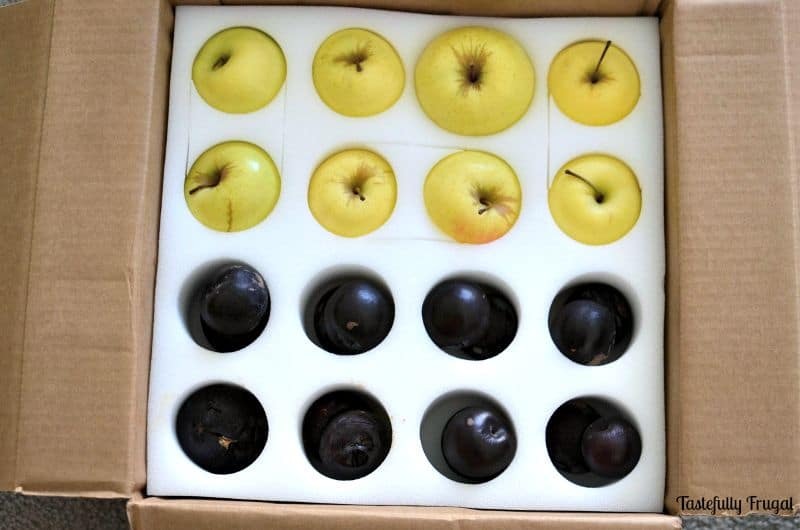 And it timed perfectly with this tasty Apple Gift Box I received from Kauffman’s Farms. It included 24 apples and 16 plums and they were SO good! Aside from the tasty apples it was also fun to talk about other words in the kitchen that started with the letter A as we were preparing these; even the ants on the floor. They were a good reminder that I needed to sweep and mop after we got the apples started. But enough about cleaning how about these apples?! 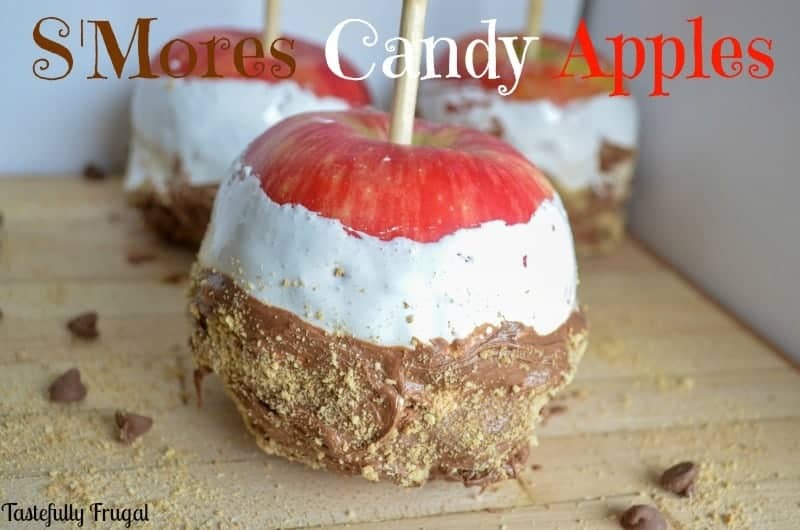 I’d seen these on Pinterest before and figured they’d be the easiest apple recipe to make with little ones. Not only did my boys enjoy making these but they also loved eating them too! And I don’t blame them; the crisp apple peel was protecting a soft, sweet apple interior. That mixed with the granola, brown sugar and cinnamon middle and the ice cream and caramel on top made these a wonderful mix of flavors for our taste buds. If you wanted to save some calories you could skip the ice cream and caramel and they would taste just as good. 4-6 medium sized apples, I love gala. In a bowl combine oats, brown sugar and cinnamon. Place apples in crockpot and spoon oat/sugar mix inside. Place 1 TBSP butter on top of each apple and sprinkle with cinnamon. What food reminds you most of fall? These apples were definitely an inspired from Pinterest project! 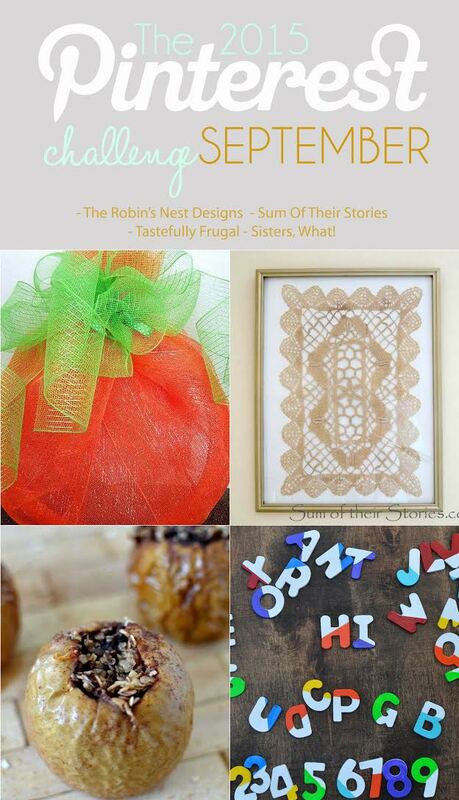 Check out these other great Pinterest projects in September’s Pinterest Challenge! *I received product from Kauffman’s Farm for this post. All thoughts and opinions are 100% mine. 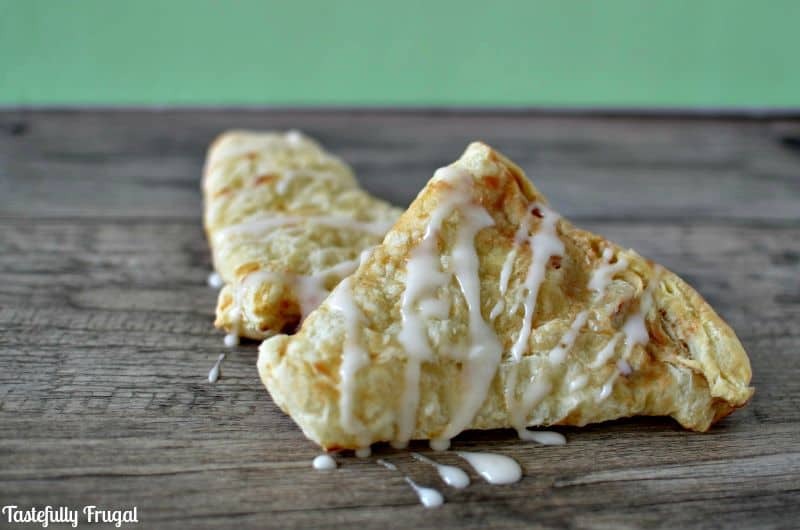 Oh, those look so yummy! Pinned. Love those fall flavors! Oh my son would go nuts for these! 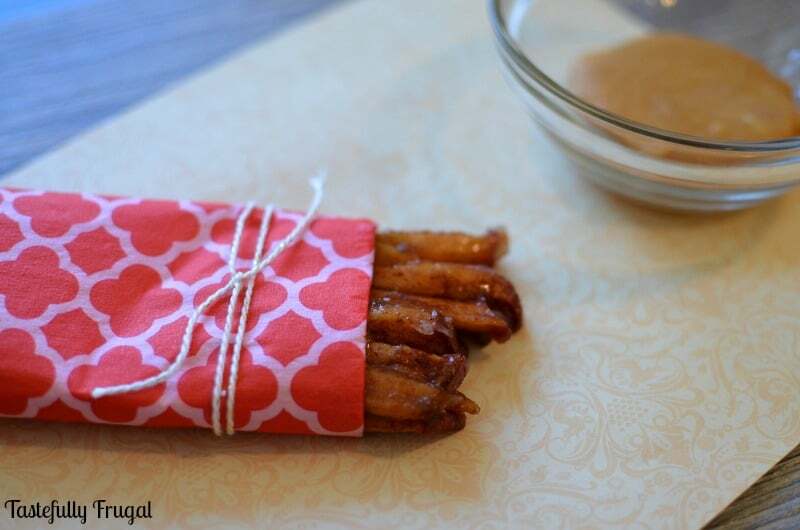 And since it is still ridiculously hot here I don’t have to heat the oven to make them. 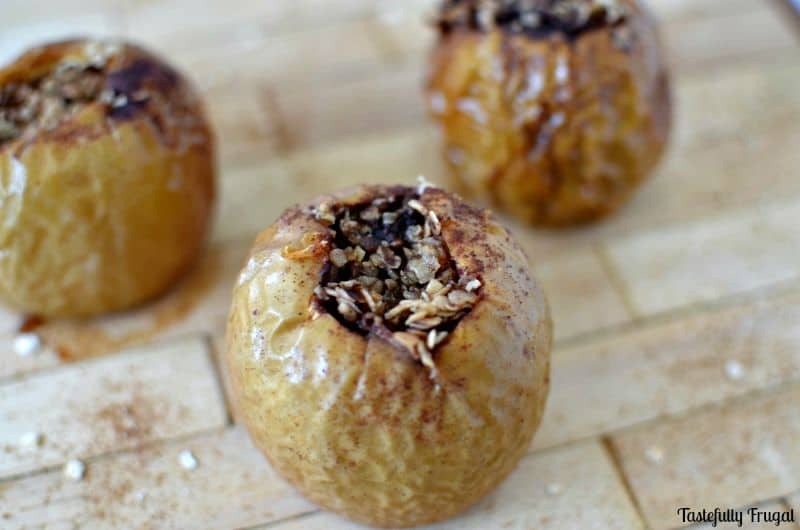 One of the best things about this time of year is a baked apple, this looks like a great recipe. Thanks for sharing.